Against the risk of being ridiculed, I'd say I learned something from, a las, Marie Clair. A story in the magazine details how Thailand government prevents the Karen - the long necked people - from leaving the country, in the name of preserving the culture. Karen girls are left no option but to put on their traditional metal neck toils and pose for tourists in exchange for paltry salary. In effect, human zoo. This reminds me a lot of the "cultural genocide" talk of the Tibetan situation. Aside from the fact much of the accusation is categorical -I've never seen any present day detailed evidence of cultural sabotage other than what happened in cultural revolution some 40 years ago or the influx of other ethnicities into Tibet, we should be very careful in defining cultural preservation before politicizing it. Culture is dynamic. It changes and shapes itself through out history and interactions of people. What do we have left if we cleanse Korean or Japanese culture of Chinese elements? Do we have to agree with the laments of a Chinese chauvinist that present day Chinese culture has many elements of Manchuria culture and even increasingly western culture? Trying to preserve the Tibetan culture integrity certainly has romantic idealism and to some extent is laudable. However, going at it by isolating Tibet and labeling every change as 'culture genocide' is hypocritical and pure idiocy. Even if Tibet were to escape China, it wouldn't escape modernism. 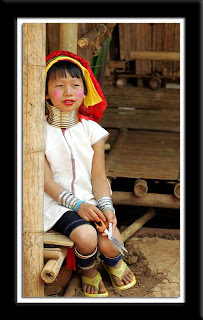 As Karen people can attest to, it is people that create the culture. Culture should not be the shackle on the people.